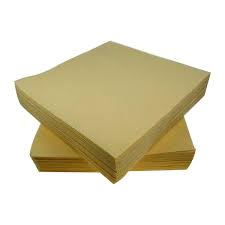 Buttermilk paper napkins 2 ply. Size 33 x 33cm, case of 2,000. Soft and absorbant. Ideal for all catering requirements. Also available in 8 fold on request. Additionally this style comes in a range of colours – please feel free to contact the office.